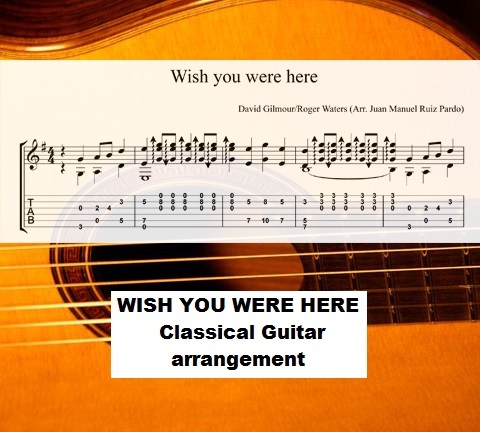 Who doesn’t remember the legendary Pink Floyd song “Wish you were here”? Generations of people grow up with this fantastic song, written by Roger Waters, it was the title song of Pink Floyd’s second album, released in 1975. Learn how to play it on the classical guitar. A particular arrangement by our Spanish guitarist Juan Manuel Ruiz Pardo.